A Manchester woman who embezzled more than $120,000s from a local bank will spend 21 months in prison. 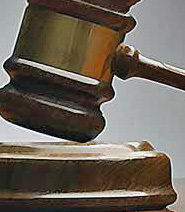 Fifty-five-year old Ann Sperfslage was handed the prison term after pleading guilty to embezzlement by a bank employee. At the plea hearing, Sperfslage admitted that between May 2008 and August 2010, she embezzled $123,181 by creating false loan documents at First State Bank in Manchester (formerly GNB Bank) and withdrew money based on the documents. She also admitted to hiding the embezzlement by temporarily misapplying customers’ deposits. In addition to her prison sentence, Sperfslage has also been ordered to pay a fine of $5,000.